Microsoft's days as the lone large-screen tablet provider are numbered. That's because Apple's long-rumored oversized iPad is expected to become a reality in the not-too-distant future according to people with knowledge of the matter as reported by Bloomberg. The larger iPad is rumored to carry a screen size of 12.9 inches, more than two inches larger than Apple's current largest offering, the iPad Air. Sources say the Cupertino-based company has been working with suppliers for at least a year to develop devices with larger screens. Production is slated for the first quarter of 2015, the people said. 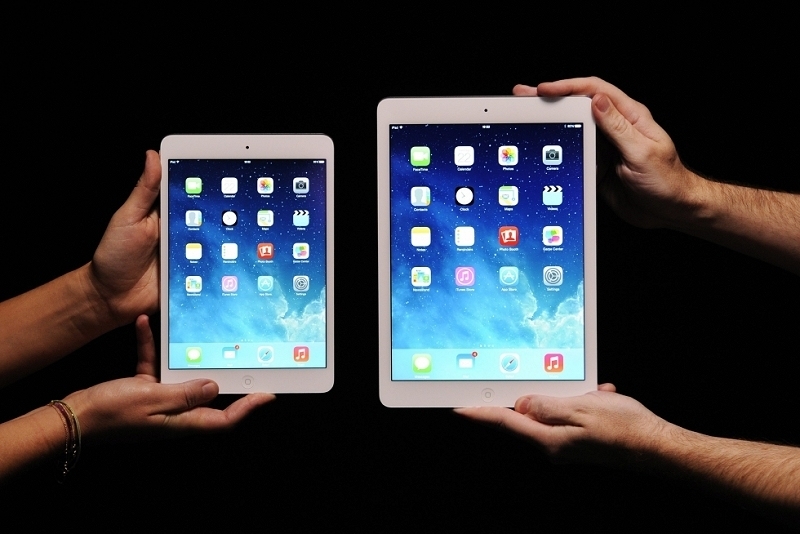 A bigger iPad could be just what Tim Cook and company need to reignite tablet sales. Apple reported disappointing results last month as sales of the iPad were down 9.2 percent to 13.3 million in the previous quarter. During the year ago period, Apple managed to sell 14.6 million slates. Unlike smaller tables that have traditionally been marketed as entertainment devices, large-screen tablets like the Surface Pro 3 are more geared for working professionals. Such will likely be the case with Apple's larger iPad as well. By all accounts, Apple is still on schedule to deliver a larger iPhone next month. The rumor mill suggests we will see a 4.7-inch iPhone as well as a larger 5.5-inch version unveiled at a special media event on September 9. In addition to the bigger screens, the phones are expected to include a faster and more efficient A8 processor, an improved camera and a thinner chassis.